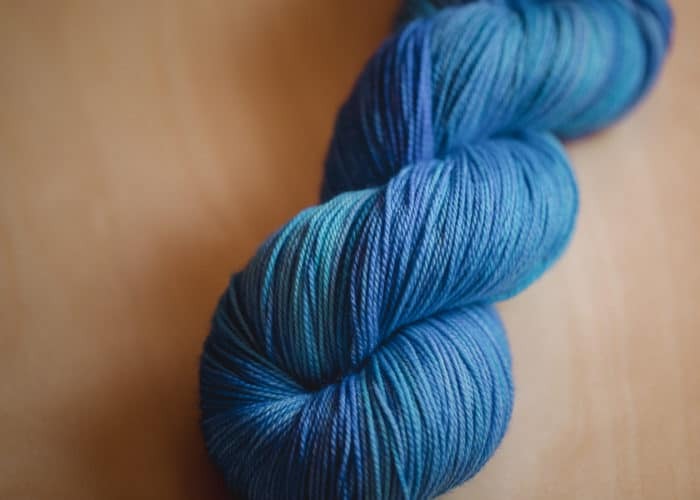 In this tiny tutorial, I demonstrate how I twist a skein of yarn from a loose hank into a twisted skein format. 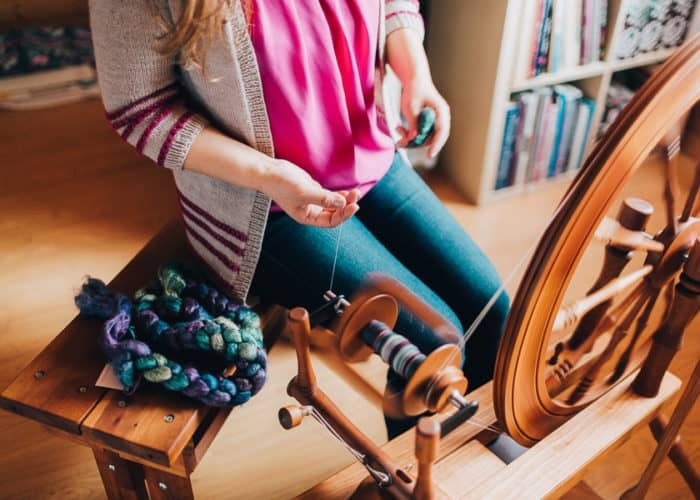 During this Crafternoon, we did a spindle spinning demonstration showing drafting, plying, and how to wind onto the spindle shaft. 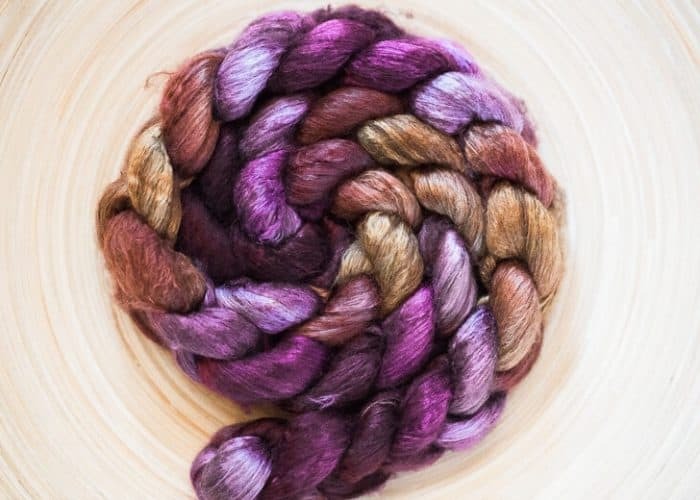 We also started spinning a handpainted colourway using the fractal spinning colour technique. 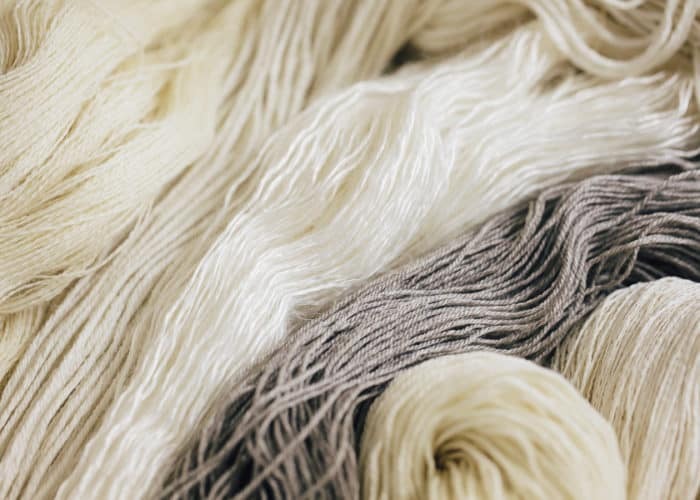 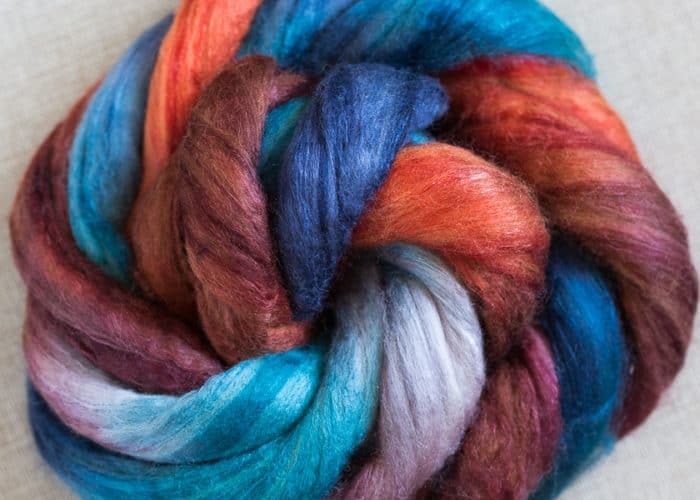 Here are a few suppliers in the US, Canada, and UK that provide beautiful dyed spinning fibres to get you started. 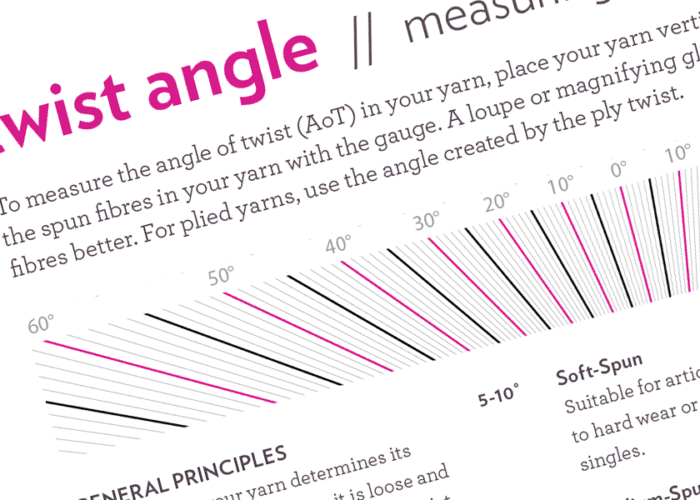 Measuring the angle of twist in your yarn is a wonderful way to ensure consistency in your handspun yarns. 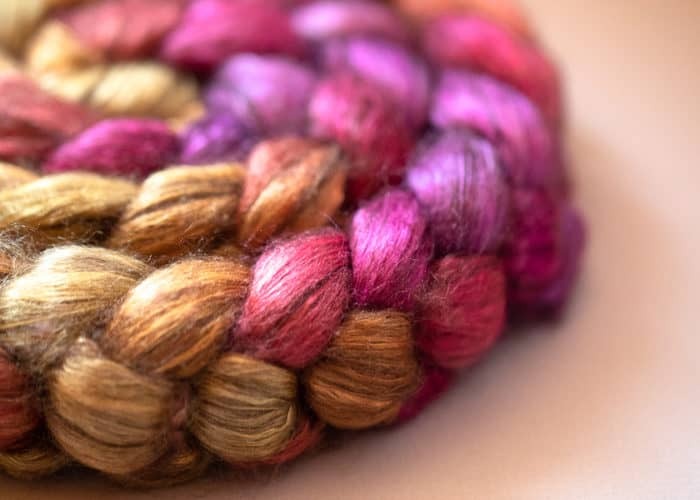 Download our twist gauge here to measure the twist in your singles and plied yarns. 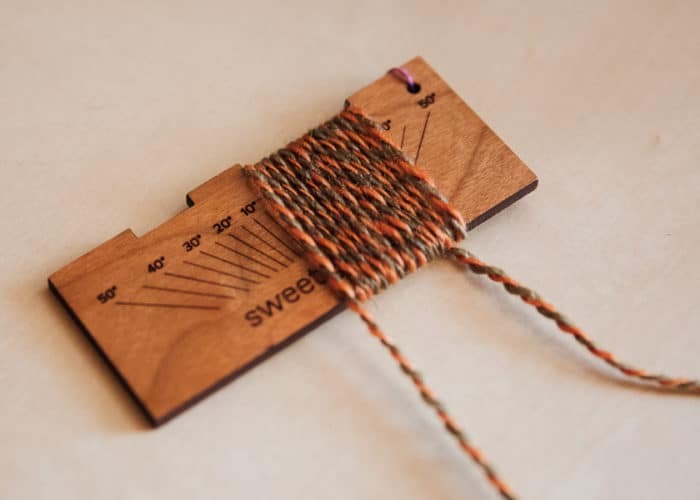 A couple downloadable tools to measure your “wraps per inch (WPI)” while spinning and plying your handspun yarns. 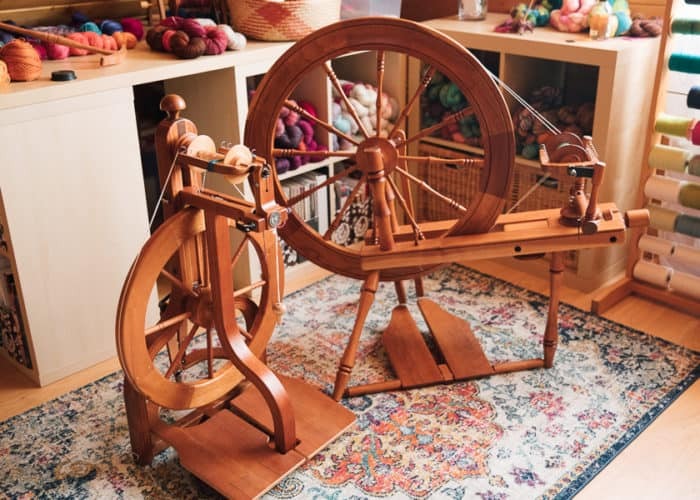 Learn how to “spin from the fold” with a long draw as a way to manage short, slippery, and downy spinning fibre blends. 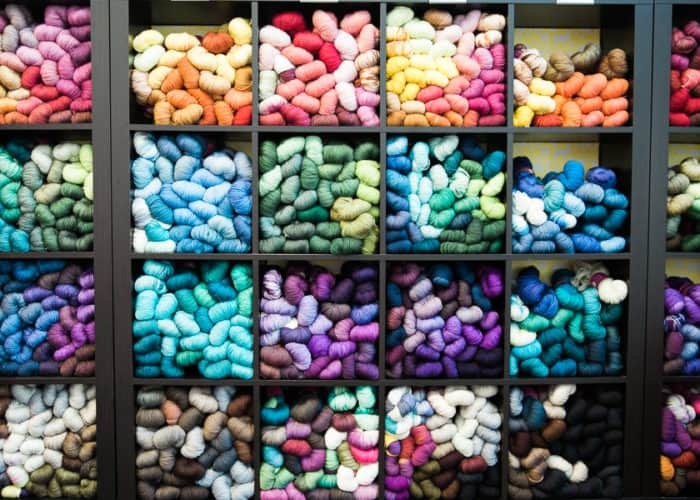 This content is only available to current All-Access Members of the School of SweetGeorgia.